An African safari truly is a sobering experience. Coming within metres of the world´s biggest, often most dangerous animals and witnessing them in their natural, undisturbed environment is frightening, surprising and heart-warming all at once. This month we travel to South Africa, Zambia, Uganda, Kenya and Tanzania – five destinations where you can connect with wild animals. 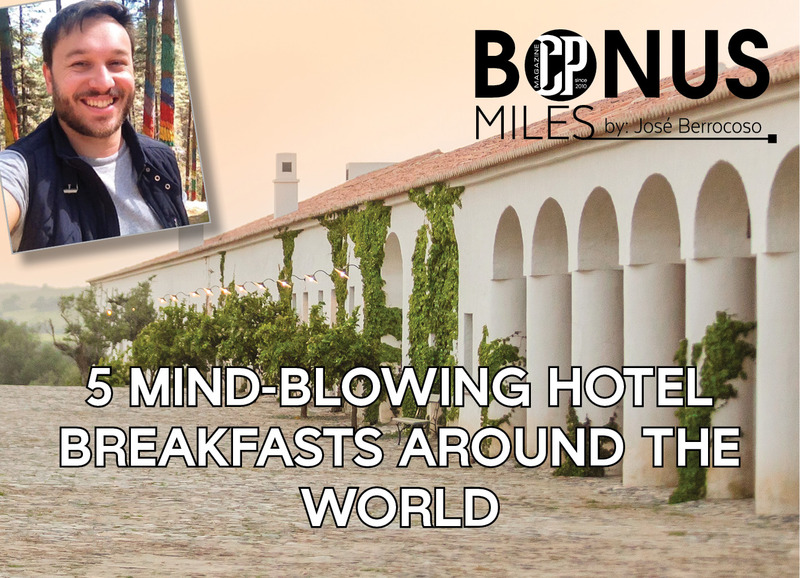 Check in to one of these hotels where wild animals roam free and you could be sharing your breakfast table with giraffes, lounging poolside with elephants or experiencing the endangered rhino conservation. 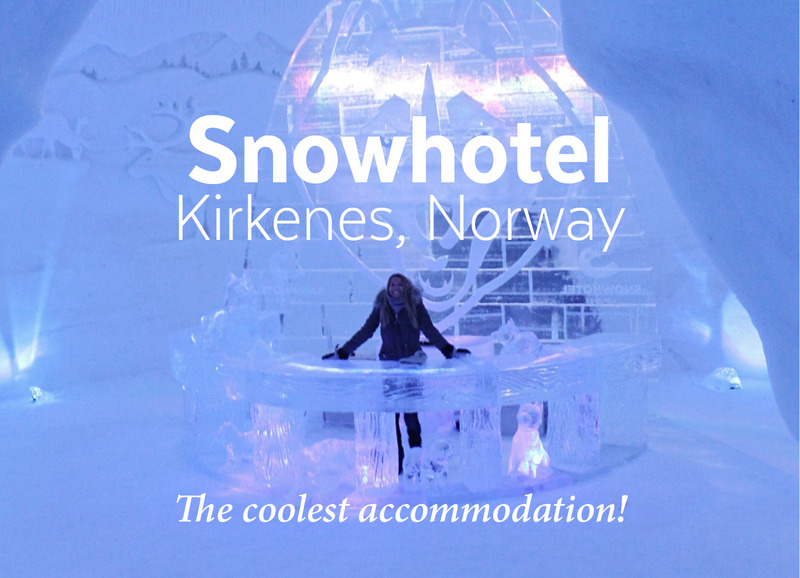 Book your next getaway and get in touch with your wild side! 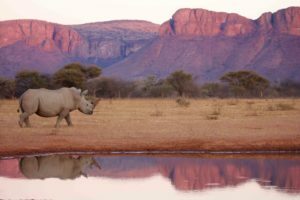 Madikwe Game Reserve is committed to wildlife conservation, particularly when it comes to its critically endangered rhino species. To this end, the reserve has established The Honorary Officers Counter Poaching Unit (HOCPU). After an early morning wake up call, guests are transferred to Madikwe’s Airstrip to meet up with park representatives and a veterinary specialist. Following a brief introduction on rhino conservation and an overview of the plan of action, the vet will depart in a helicopter to find and dart a rhino in the vicinity. Safari vehicles are in continuous radio contact and remain on standby until the location of the rhino is called in. Guests are then transferred to the scene where the rhino is sedated, to participate in the process of gathering DNA samples and notching. The rhino is soon on its feet (sedated for no more than 10-15 minutes to minimise stress), now part of the reference book of identifiable rhinos within Madikwe’s population. 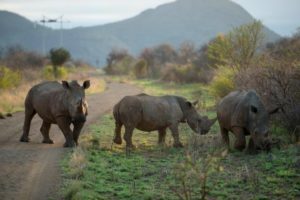 It is through this process that Field Guides are able to identify and record rhino sightings for the purpose of monitoring the health of the population. In addition, the DNA samples are sent to Onderstepoort so that each animal’s unique ID can be added to the national database. The recording of DNA is vital in order to gain convictions against poachers. 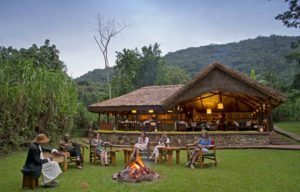 Still one of the world´s best kept natural secrets, Uganda receives far less visitors than its neighbouring countries. Characterised by dramatic scenary throughout, it is home to deep lakes, stunning waterfalls, towering mountains and incredible wildlife. Uganda also has the highest concentration of primates on earth, including the mountain gorilla – now one of the rarest animals on the planet. There are just under 800 mountain gorillas in the world and over 460 of them reside in Uganda – mainly found in the epic Bwindi Impenetrable Forest, a UNESCO World Heritage site situated in the southwest corner of the country. 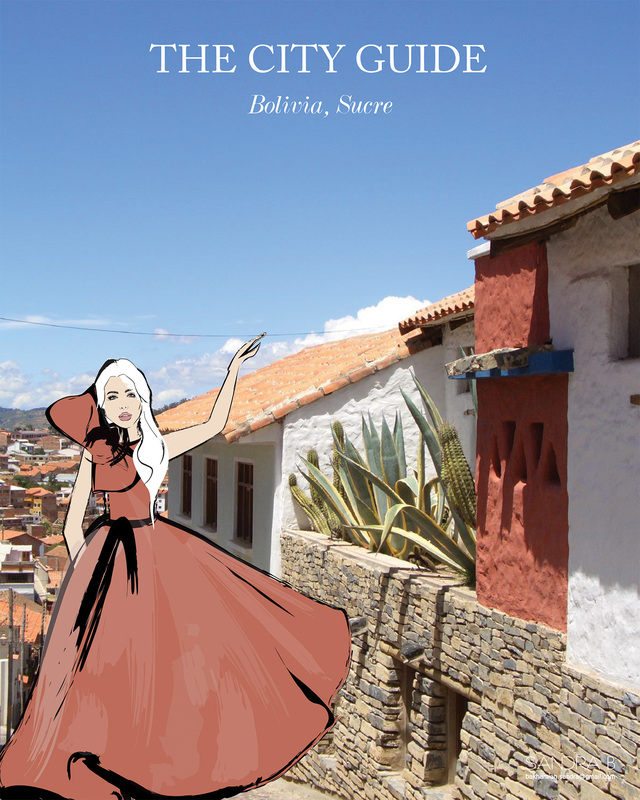 The park is 331 square kilometres and impresses with a truly theatrical landscape and bio-diversity. 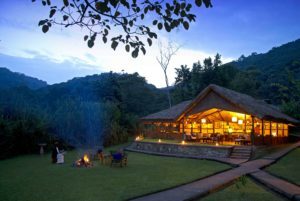 Sanctuary Gorilla Forest Camp is the perfect base from which to track the gorillas. Due to its unique location, it’s not unusual for the gorilla families to visit the camp itself. The gorillas are completely wild but have become used to seeing a few humans after years of habituation. Many of the expert guides have been involved in this process since the beginning and are able to explain the complicated etiquette involved in meeting a giant silverback. This is an opportunity afforded only to a select few, as just eight visitors are allowed to view each group every day. 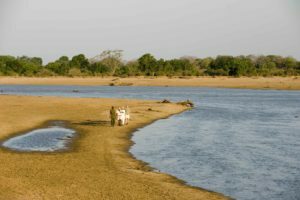 The Luangwa National Park, located in eastern Zambia, is one of the most concentrated areas of wildlife in Africa, with 60 different animal species congregating around the Luangwa River. With the exception of the rhino, which has been poached into extinction in the area, you’ll have the chance to see all the big five game animals, as well as more than 400 species of birds and a large hippopotamus population. 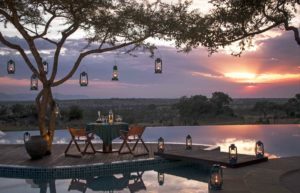 Sanctuary Chichele Presidential Lodge, originally built in the 1970s for Kenneth Kaunda, the former Zambian president, is the best option to stay at. This historic property has recently been carefully restored to maintain the original colonial style. A majestic arched entrance leads you in to a huge colonial-style lounge and outside the grand dining room, a long veranda stretches with views down the valley to the Luangwa River. Game viewing in South Luangwa is considered to be some of the best in the world. It is a notably good place to see leopards, particularly in the dry season when they have less cover in which to hide. 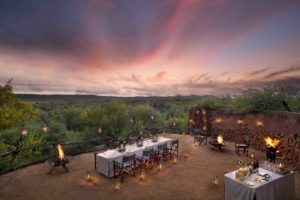 From Sanctuary Chichele Presidential Lodge guests have the privilege of being able to go on night game drives during which it is possible to see all sorts of animals that are seldom seen by day – leopard, hyena and bush baby. Plains game, such as antelope and zebra, are not scared by the lights so you are able to get very close to animals for fabulous photographs. Karibu! The Serengeti is the Africa of The Lion King, of Karen Blixen and Hemingway. 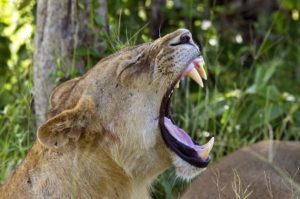 It’s the home of graceful Maasai warriors and the fierce Big Five – lions, leopards, elephants, rhinos and buffaloes – not to mention crocodiles, hippos, cheetahs and baboons. It’s also home to hundreds of colourful and lesser-known species such as lilac-breasted rollers, intricately marbled Charaxes butterflies and umbrella thorn acacia trees, which provide some shady respite from the sun-scorched landscape. 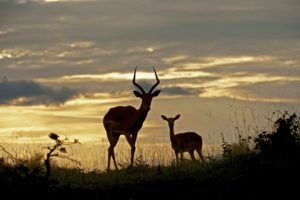 To put it another way, there are more than 70 species of large mammals and more than 500 types of birds found among these riverine forests, swamps, rocky kopjes and grasslands. 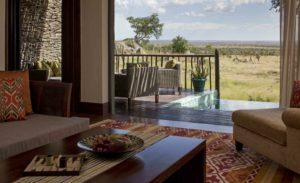 Arriving at the Four Seasons Safari Lodge Serengeti, located within East Africa’s world-famous wildlife sanctuary, the Serengeti National Park, is a once in a lifetime experience. You are greeted with ‘Jambo!’ (which means ‘Hello!’ in Swahili) and big smiles. Stepping inside, you instantly feel the magic of this beautiful place, designed to blend into nature while still exuding upscale, African style sophistication. 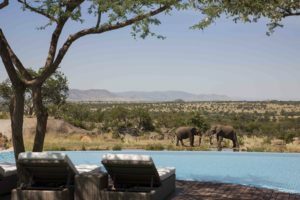 The impressive pool overlooks a watering hole which is heavily used by herds of elephants and zebras and other wildlife in the area, much to the delight of guests who can watch the action from their lounge charis or while in the water. 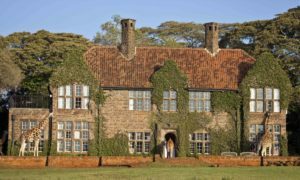 Located on the outskirts of Nairobi in 12 acres of private land within 140 acres of indigenous forest, Giraffe Manor is one of Nairobi’s most iconic buildings dating back to the 1930s and is reminiscent of the early days of Europeans in East Africa. Whilst the building itself resonates with the past, very much present is the herd of eleven resident Rothschild giraffe who tend to visit the Manor in the mornings and evenings to greet guests and sniff out some snacks before venturing out into their sanctuary. 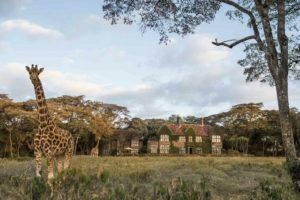 Giraffe Manor was originally the home of Jock and Betty Leslie-Melville, whose lifelong ambition became the preservation of this beautiful and threatened species of giraffe. Giraffe Manor was bought by the Carr-Hartleys in 2009. The giraffe have become creatures of habit and enjoy requesting food from delighted guests at the breakfast table. You’ll often find them sticking their long necks through the large bay windows in the hopes of receiving a titbit. And who can say no to those long eyelashes and woeful eyes? Apart from the giraffe spectacle and exquisite gourmet meals, the accommodation is also a highlight of giraffe manor. 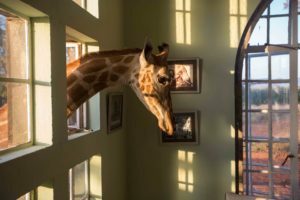 Each room is named after one of the Giraffes at the park and includes a sunny terrace, beautiful individualised interiors keeping the old English theme, contemporary bathrooms and gigantic beds!